Two brilliant computer scientists, Sergey Brin and Larry Page, founded Google. 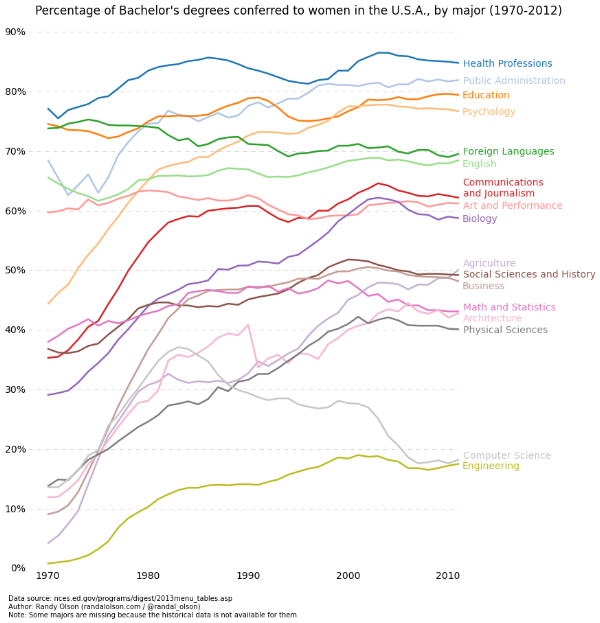 When they first set up Google’s hiring algorithm, they prioritized it to sort for those candidates who were the top computer scientists reigning from the top computer science universities. At the time, they believed running the best technology company required the best technologists. It turns out, they now admit, they were DEAD. WRONG. So why do I care about Silicon Valley hiring algorithms? Because out here in sunny, tech-obsessed California, girls’ leadership often equals STEM (Science. Technology. Engineering. Math). Many parents look to STEM as the singular solution to the gnarly and complex problem of getting their girls into leadership positions, and this view always seemed limiting to me. Brin and Page seem to agree now. Google’s study, called Project Oxygen, analyzed all their hiring data since 1998. To their surprise, among the eight most important qualities of Google’s top employees, STEM skills came in…last. Google quickly followed up with a second study in 2017, called Project Aristotle, to analyze which of their teams were likely to come up with the most innovative ideas. Again, it wasn’t their A-Teams, loaded with the best scientists, who came up with the best and most important ideas. Those came from the B-teams. Project Aristotle has validated other studies proving the key to the highest performing teams is people being heard. Having more diverse teams in tech will ensure technology is both exceptional and meets diverse needs. For example, if you have an iPhone, you have the iOS Health App installed. It tracks everything you'd want, relating to your health, except an important one. The development team forgot all about fertility/period tracking on release. After a massive outcry and a mad scramble, the team included it in the next iOS update. You need not be a computer scientist to catch that mistake. I don’t want to throw the baby out with the bathwater here. Yes, there are great benefits to helping girls see STEM is wide open to them if they embrace this field. This allows more choices to our girls and can only help to close the technology gap. Coding can also help girls learn how to overcome their fear of failure. Reshma Saujani, the founder of Girls Who Code, cites how young girls are often paralyzed in her after-school coding classes for fear of making a mistake. 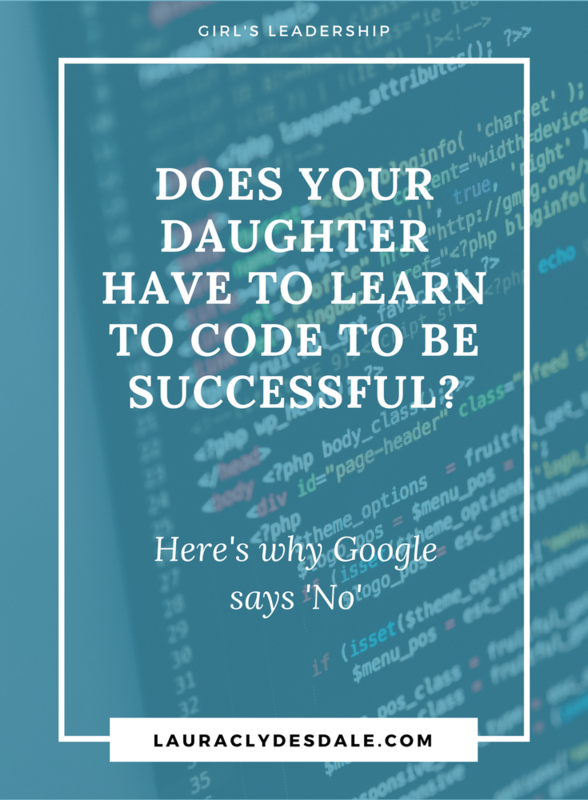 I agree when she insists that coding forces girls to get comfortable with trial and error because often, coding doesn't work out correctly the first time. But we shouldn’t have to force our girls to code. My heart broke when she told me she is encouraging her daughter to master computer science and to indicate this as her chosen field to stand out in college admissions. It doesn’t matter if her daughter likes it or not. What matters is there aren’t as many female computer science majors and, therefore, she’ll be a shoe-in to a college of her choice. I feel profound grief knowing she is right. But I refuse to trade my daughter’s soul just to get her into an elite college. 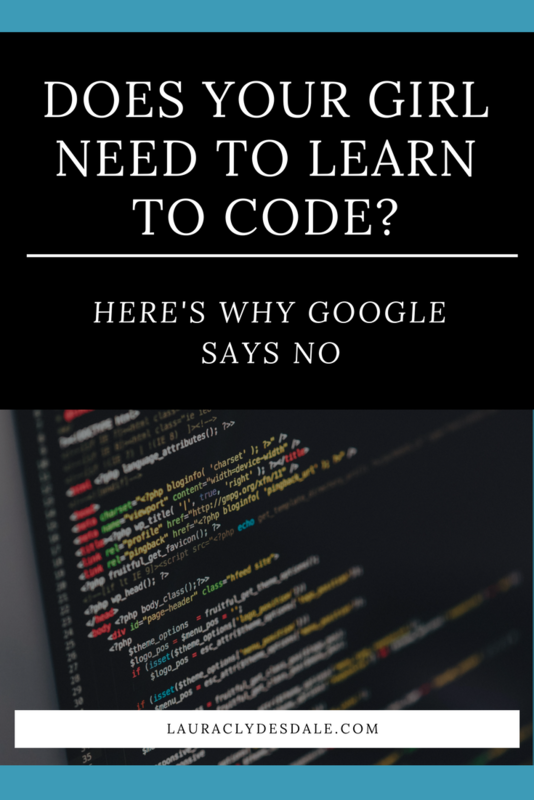 What buoyed me about the two Google studies is the majors and interests women lean toward, are now being appreciated by technology companies as the key to success in technology. Besides making good business sense, I hope this revelation will also help dispel the bias plaguing Google’s engineers and the greater tech world which reads: if you aren’t a technologist, you deserve less pay and lower positions because you couldn’t possibly contribute to the company at the highest level. A data run company is finally looking at its own statistics and, not surprising; Google is now expanding their algorithm to include more liberal arts majors from a diversity of schools. It is dawning on them that to be an innovative tech company, they need to lure the most innovative employees: those who listen, are empathetic and think critically regardless of their gender or focus of study. We need to tackle the technology gap from many different angles, not just one.